Ten days ago, the Virginia Board of Pharmacy Granted Five Pharmaceutical Processor Conditional Permits. The state originally indicated that they had a preference to award in-state operators but, noticeably, included two multi-state cannabis licensees in the permit mix. Columbia Care (CC), which CBE covered back in November of 2016 (Building a Medical Marijuana Footprint One Market at a Time: Columbia Care) as one of the largest footprint players in the Cannabis Industry at that time, has more than doubled the states and territories that they are licensed to operate in. The addition of Virginia to their portfolio puts them in rarefied air occupied by only a handful of competitors like Acreage Holdings, Cresco Labs, GTI, Harvest, MedMen and PalliaTech (Curaleaf), among others, in having access to consumers in the lucrative legal US market. The combined populations in these 11 states, DC and Puerto Rico represents over 40% of the US adult population. Since we spoke last two years ago to Nick Vita, Co-Founder & CEO of CC, their state footprint has roughly quadrupled with more applications in other states that are either expanding their medical marijuana programs or launching new ones. Before starting CC, Vita spent the previous 20 plus years in healthcare focused advisory, corporate finance and direct investing including 6 years at Goldman Sachs. Many of the states that CC has secured operating licenses in have yet to ramp up yet, and it not only puts CC in a position to substantially grow their revenues in the lucrative US market but also provides significant leverage if they decide to enter the public domain to secure capital to fuel further expansion. As Vita indicated in the previous CBE story, CC has yet to enter crowded adult-use markets like CO, NV, OR, WA and will only do so when it makes sense. To date, CC has been well-capitalized, they have raised over $150 million and aren’t in a hurry to go public…yet. Vita told CBE that he is surprised at how effective the Canadian and US competitors have been at accessing the available capital markets to date, but that CC has yet to decide on when and if they will go public. He indicated that when the time comes, the CC board, which includes Executive Chairman Michael Abbott, a former Goldman Sachs and Swiss Bank Corporation executive, will make the call. Regarding a move into recreational markets, CC is now in two, CA and MA. CA especially presents an interesting opportunity. CC’s background in developing products based on feedback and data collected in other markets has indicated that there is a lot of overlap between what are commonly thought of as two distinct target groups, medical or recreational users. In Massachusetts, it may make sense for medical cannabis consumers to gravitate to the new recreational stores coming to the state, but CC and its three current Patriot Care retail stores and in-house supply chain have multiple years of experience and product development serving patients. California currently has lots of branded products available but few if any at this stage (they all have had to make huge adjustments to receive their licenses under the new regulatory program and to meet compliance requirements) that possess the quality and consistency to match the research, science and developed IP Platform based products that have been developed by CC. CC has had the advantage of following rigorous FDA standards typically adhered to by pharmaceutical companies and Vita is confident that CC’s commitment to research & science, GMP standards and validation and the ultimate consistency that their product mix has to offer differentiates CC well in any market, especially California at this stage, whether the end-user is described as a recreational or medical customer. And the proprietary IP that they have developed can not only be scaled in any vertically integrated market but also opens the opportunity to generate revenues not only in their in their own network of stores but sets the stage for selling their brands and potentially their IP to others in the distribution channel domestically and abroad. After all, the idea behind any brand is to develop products that meet the needs of consumers based on research; CC’s rapidly expanding data base will fuel future product development and potentially large chunks of market-share, state by state before others have the scale and data to react. Unbeknownst to many, CC currently has close to 30 brands on the market. CC was also an early pioneer in the CBD market, they are licensed in a number of states to produce hemp and are on the NY state task force in an advisory capacity. They are talking to a number of potential multi-national partners and will likely be a force in this lucrative market as well. One of CC’s goals is to become an industry thought leader globally. Vita told CBE that currently, CC doesn’t see the value abroad versus building cash flow in the lucrative US market. That said, CC believes that as the number of markets they enter increases, it creates a greater scale advantage for them down the road. With the European and other markets developing slowly, the focus for now, is continuing to build an US footprint ultimately putting CC in a position to serve all legal markets domestically. Either way, any European, Australian, Latin American or other international investment must be leverageable to make sense for the CC board and management team. When CBE spoke to Vita two years ago, one of the difficulties CC and other cannabis companies faced involved finding and acquiring human capital and talent. That problem continues to dissipate as more and more professionals from other sectors have decided that the Cannabis Industry and the stigma it carried in the early days and, still does in some respect, fades. Vita tells CBE it’s like the world has woken up all at once as more and more qualified professionals are pouring into the industry. But, challenges still remain. CC believes and has from day one, that the Cannabis Industry can and will have a profound impact if the industry is handled the right way. That includes working responsibly with the regulatory agencies to create viable long-term public private partnerships. As his peer Bruce Linton CEO of Canopy Growth expressed to CBE, its good business to collaborate with the regulatory bodies to achieve win-win outcomes and Vita and CC are doing just that. Industry incumbents that have a different mindset still present obstacles and perception problems that can delay progress. 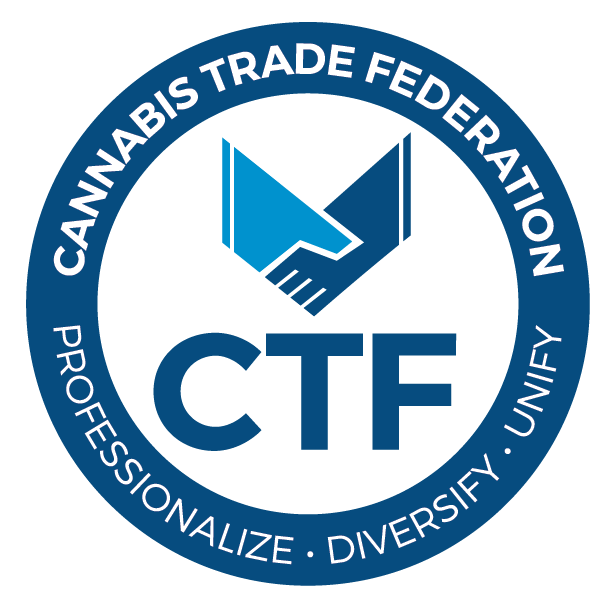 The lack of a centralized pro-cannabis federal policy continues to impede access to the US capital markets that any other industry can benefit from. The stigma still exists politically at all levels, local state and federal and impacts the availability banking, even-handed tax policies and a level playing field. There are still lots of quick buck artists out there, but Vita is finding that the evolving industry is presenting more quality partnering opportunities vis-a-vis academia, science, and corporate entities from other related industries based on the talent and institutional knowledge and data that they have accumulated as an early mover in the regulated cannabis industry. In the past few months, CC has announced in-house and collaborative innovations and adding know how to their Scientific Advisory Board. From an acquisition perspective, Vita shared a couple of his guiding principles with CBE. 2.) M&A as a strategy and the integration of cultures is extremely difficult in different regulatory environments. Asset accumulation, scalability and cultural assimilation can go a lot of different ways when trying to execute. At the end of the day, success will be achieved by finding the right balance of capital, ingenuity, innovation and assimilation and that the complexity that this unique industry presents is a big part of the opportunity. And make no mistake, Vita believes that the lucrative US market barriers of entry for the cash rich Canadian competitors is a challenge for them. He believes that CC’s success in building one of the, if not the largest footprint in the US, is a competitive advantage. So what is next for CC? Expect to see expansion of their footprint in each market currently licensed as well as in new states with medical programs. Continuation of rolling out pharmaceutical products to help change the game whether as a solution to the “Opioid Crisis” or other areas where cannabis can help improve the lives of their customers. Growth of CC’s roster of talented contributors to its goals and mission. Over the past two years CBE has seen Vita and CC’s management team stick with a carefully thought out strategic plan that has resulted in the company’s US footprint, talent base and revenues grow. We expect to see more of the same along with new innovations, new markets and new customers to serve domestically and abroad over the next couple of years as access to capital accelerates.